Like many other American citizens, New Yorker Sitora Ashrafova was shocked and grieved when she heard about the terrorist attack in Lower Manhattan on Halloween. A man plowed a rented truck down a crowded bike path before smashing into a school bus, killing eight people and injuring 11, resulting in the deadliest terrorist attack in New York City since 9/11. The attack left Ashrafova heartbroken.The alleged perpetrator, Sayfullo Habibullaevic Saipov, came to the United States from Uzbekistan in 2010. Ashrafova originally came from Uzbekistan too. Saipov entered the U.S. lawfully as a lottery winner in the Diversity Immigrant Visa Program. 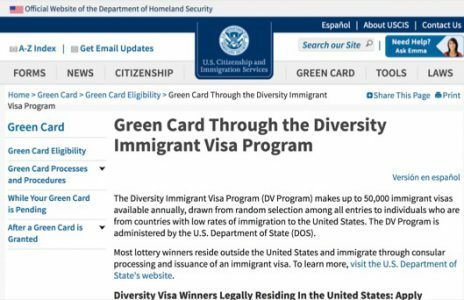 The program, often called the “green card lottery,” provides up to 50,000 immigrant visas annually by drawing randomly among all entries of individuals who are from countries with low immigration rates to the United States, according to the U.S. Citizenship and Immigration Services. 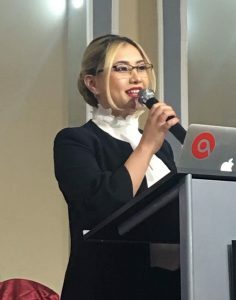 Through Ashrafova’s grief for the victims, she also felt a backlash on the Uzbek immigrant community and on Muslims, and an intensified attack on the Diversity Visa Program. The horrific tragedy perpetrated by Saipov put the Uzbek and Muslims communities on alert and in a compromised position. 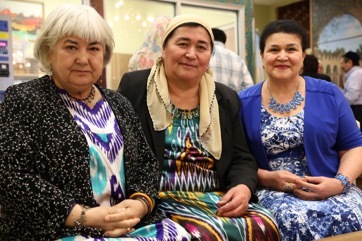 Many Uzbek immigrants are automatically labeled Muslim extremists or terrorists. “People who live in U.S. start to recognize people from Uzbekistan. Some of them start to do inappropriate stuffs, start saying inappropriate words to Uzbeks,” said Farrukh Shamsutdinov, vice president of the Uzbek American Association of Chicago (UAAC), a non-profit organization promoting Uzbek culture and serving the Uzbek American community of the Greater Chicago area. According to the FBI’s recently released hate crime statistics, anti-Muslim hate crimes rose more than 26 percent in 2016, encompassing 381 offenses and 388 victims. Assaults against Muslims in the United States reached the peak level since 9/11, the report concluded. In the first few weeks after the attack, some Uzbek immigrants were scared to tell their nationality when they were asked, Shamsutdinov said. A terrorist like Saipov does not represent Uzbekistan, and he does not represent any Muslim communities, Ashrafova said. People should not label Muslims as terrorists solely because Saipov was a radicalized follower. We should not label others based on where they are from and what religions they believe in. There are no bad religions; there are only bad people, Ashrafova said. “What we really should pay attention to is to look at the fundamental problem. 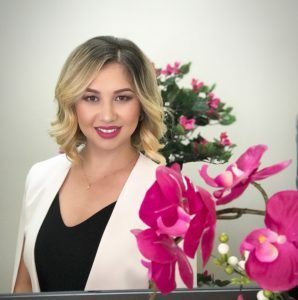 How can we help these people as a society, instead of just pointing fingers, ‘Oh, you are from Uzbekistan?’ ‘Oh you are from Texas.’ ‘You are from Florida,’” she said. President Trump’s call for scrapping the Diversity Immigrant Visa Program is making things even more complicated. Created as part of the Immigration Act of 1990, the Diversity Immigrant Visa Program was designed to diversify immigration beyond the Latin American focus at that time. For the first few years of the program, however, ironically 40 percent of the visas were reserved for the Irish, said Michelle Mittelstadt, communication director for the Migration Policy Institute, which is a nonpartisan think tank in Washington D.C. that studies immigration issues in the U.S. and around the world. Shortly after the New York attack, the Center for Immigration Studies (CIS) published a call to action against the diversity lottery – Another Uzbek Visa Lottery Terrorist? – asserting that Saipov was the fifth diversity visa lottery recipient to be involved in terrorist acts in the United States. CIS presents itself as “an independent, non-partisan, non-profit, research organization” whose positions “do not justify ill feelings toward our immigrant community.” However since Trump’s presidency, the group has been characterized as biased, anti-immigrant and even as a hate group by the Southern Poverty Law Center. Mittelstadt of the Migration Policy Institute sees it differently. Ending the diversity lottery program will not do anything particularly different in terms of improving national security because a diversity visa applicant goes through the same level of screening and vetting as any other immigrants do, she said. In 2016, Nepal, Egypt and Iran were the home to the most diversity lottery recipients, according to the State Department. Uzbekistan ranked fifth, with 2,378 recipients. Overall, the program contributes about 5 percent of the approximately one million legal immigrants that enter the United States each year, according to The New York Times. Tim Myers, an attorney for Chicago Law and Education Foundation, calls the diversity visa the third option for people to migrate to the United States, in addition to getting green cards through family migration or employment visas. The only criterion that a diversity visa applicant has to meet is a pretty low threshold of education or professional attainment – either a high school degree or two years of qualifying work experience, Mittelstadt said. Therefore, some of the reservations about the Diversity Immigrant Visa Program question whether recipients are as likely to succeed and integrate as other visa holders. However, Mittelstadt cautioned that family-based immigrants and employment-based immigrants do not necessarily result in a more educated population or one with better professional credentials. Between 2011 and 2015, 48 percent of the immigrants coming to the United States were college graduates. By comparison, 25 years ago, only 27 percent of the newcomers had a college degree 25 years ago, according to a commentary published by the Migration Policy Institute earlier this year. “So there already is a trend underway that has been happening on their own, not as a result of U.S. policy,” Mittelstadt said. The debate over merit-based immigration is missing an important fact that “immigrants coming to the United States in recent years are coming with a far greater educational and professional profile than even just a couple of decades ago,” she said. If the Diversity Immigrant Visa Program is terminated, according to Mittelstadt, it will fall more sharply on people from particular countries. The program has been a significant route of entry for people from countries in Africa, Central and Eastern Europe and parts of Asia, where there has not been a significant level of immigration to the U.S. The termination will also skew the immigrant pool in favor of those from countries that have more family ties in the U.S. or more connections in certain employment sectors. Ashrafova takes particular offense at characterizations that Uzbeks are Muslim extremists. Uzbekistan is a very modern and peaceful country, she said. Believing that America is built by and for immigrants, Ashrafova has deep faith in the government and is confident that the Diversity Immigrant Visa Program will continue. “United States was discovered by Columbus. We were all immigrants. This is what makes America great. This is the one country in the whole universe where you can come, be welcomed and build your dreams, as long as you are true to yourself, as long as you have positive thinking, as long as you have enthusiasm, all the positive things in mind with right energy,” she said.